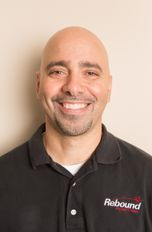 Joe Kafati, DPT, Owner, graduated from the University of St. Augustine in 2001 with a Doctorate Degree in Physical Therapy and also has earned his MTC (Manual Therapy Certification). Over the years Joe has worked in a variety of out-patient settings and proudly opened Rebound Physical Therapy in October 2006. Joe's ability to provide personalized care to his patients is enhanced by his fluency in Spanish. He leads the Rebound Aquatic Therapy program. Passion for quality care in a compassionate setting, the Towne Lake community has embraced Joe with open arms. Complex orthopedic injuries, sports related injuries, and workers compensation, Rebound is a place where patients can go for complete care. When away from the clinic, Joe enjoys spending time with family, playing any and all sports, and trying to keep up with his young son. 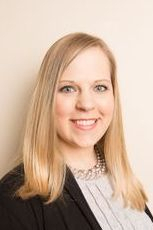 Lauren Weaver, DPT, graduated from Georgia State University in 2013 with a Doctorate Degree in Physical Therapy. She joined the Rebound team in September of 2013. Lauren received her certification in dry needling, specializing in the treatment of musculoskeletal conditions and trigger points. She excels in treating vertigo, post-operative, and many orthopedic issues. Lauren shows compassion for her patients. Her personal goal is to develop relationships with her patients on a level that helps gain trust and build confidence in the care she provides. Rebound's goal is to create a personal touch where they feel at home, and know that our priority is to provide optimal care. Katelyn Corbin, DPT, gradated from Georgia State University with her Doctorate of Physical Therapy. She is certified in Dry Needling and trained in rehab based Pilates through Polestar. Katelyn worked as a Personal Trainer and Pilates instructor through PT school. She is passionate about prevention through education and encouraging lifestyle changes, as well as bridging the gap between rehab and post-rehab maintenance. Katelyn realizes everyone is unique and believes in taking individualized approach for every patient. She lives to keep moving and is active in her community. She looks forward to helping you accomplish your goals so that you can live your best, pain-free life. Bradley Mays, PTA, graduated from Chattahoochee Tech in 2015. He joined the Rebound family in 2015, and also has experience working in the acute hospital setting. Bradley's passion is challenging people to strive to do their best and empower a life of limitless. He specializes in sports conditioning, orthopedic dysfunctions and balance training. Bradley is currently enlisted in the Coast Guard Reserves, and has a passion in serving and protecting the United States. He also enjoys the outdoors, and spends his spare time kayaking and hiking. Shannon McDaniel, Office Coordinator, joined the Rebound family in 2019. She has a passion to help patients feel comfortable and well informed at each PT visit. Shannon is proficient in insurance and authorizations. Izzy, Therapy Dog, is Rebound's comfort dog. She is a miniature Australian Shepherd, born September 17, 2017. When you walk into Rebound, she is the first to greet you with eagerness. Izzy will help comfort you if you are in pain or need a little help with reducing your anxiety. She loves helping you with your exercises, and the therapist will use her to keep you engaged. Izzy's favorite past time is playing ball and frisbee, taking naps, and eating bacon.